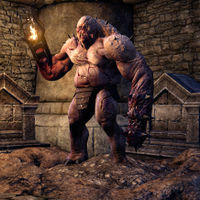 Abomination is a flesh atronach made out of Crestshade's citizens. It needs to be defeated in order to help remove the town's curse. This page was last modified on 17 January 2019, at 18:49.